Convergence Systems Limited has been honored with the 2012 Top 10 Most Influential International RFID Brands Award from the International Internet of Things Technologies & Applications Association. The winner has been generated by online voting over a period of 2 months, those allowed to vote were industry experts, media and engineers. RFID smart shelves can help retailers analyze market demand. Beyond sales reports, retailers want to understand which items had the highest shopper interest. For example, while one jewelry item is picked up 100 times and sold 90 time, another jewelry item is picked up 100 times but only sold 10 times. Retail statistics monitoring shopper behavior cannot be accurately counted by man. 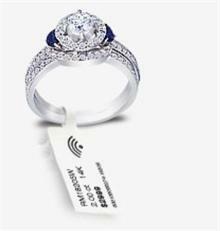 However, the RFID Jewelry Smart Shelf Solution developed by Alpha Solutions using CSL-RFID technology enables retailers to clearly see data on which types of jewelry are picked up frequently. From the data obtained, discount promotions and programs can be made for the jewelry types that are having trouble selling. ISA Boutique began to use the RFID Jewelry Smart Showcase system in one of their stores for jewelry tracking in September last year. CSL provided the CS790 Ultra-Thin RFID Antenna, CS468 16-Port RFID Reader, CS101 Handheld Reader and Jewelry tag. The total investment for hardware was approximately $7,500USD. ISA Boutique is already recouping the investment because the jewelry circulating rate is obviously higher than before and the time to take inventory was shortened by 70%. Apart from jewelry, the store is expanding smart shelves to watches, eyewear, handbags, and fashion. Check out our new website with improved functionality, design, and navigation. Subscribe to our RFID How blog and check out our videos and applications. 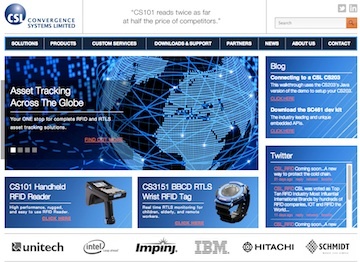 Visit us at http://www.CSL-RFID.com.